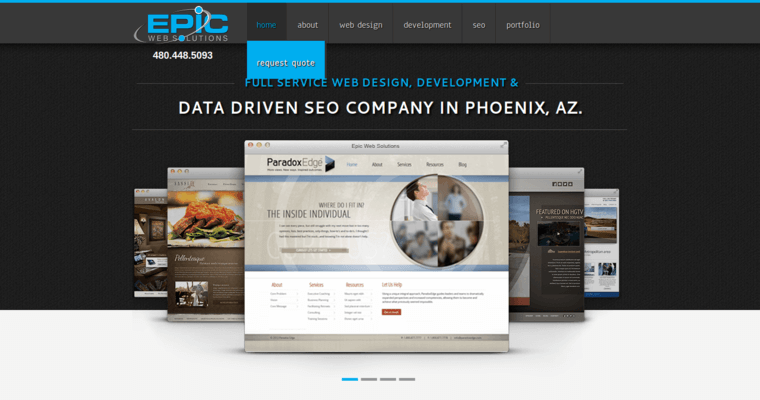 Located in Phoenix, Arizona, Epic Web Solutions is a digital marketing firm that offers superior search engine optimization solutions. The firm was established in 2006 and has grown to have the capabilities to help clients of all sizes from all over the world. 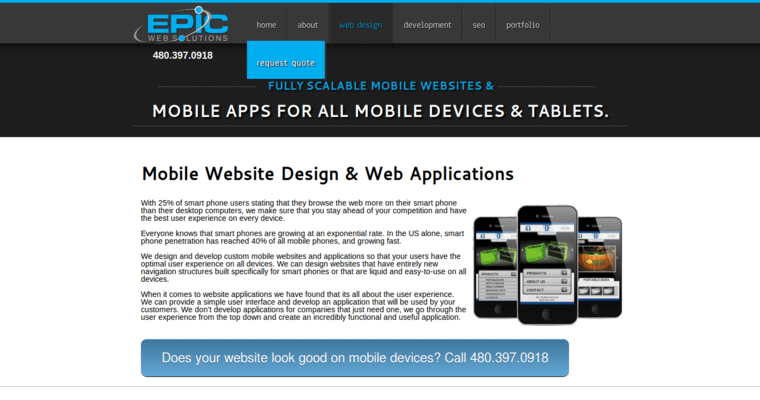 Other than search engine optimization services, the team also offers web development, web design, graphic design, paid search campaigns, eCommerce websites, mobile websites, logo designs, increase conversions, content management systems, and more. The team is successful because they use an effective approach that is data-driven and always yields the best results. The team also uses the most innovative and proven practices in the digital marketing industry, and they always work diligently to help their clients increase traffic, generate leads, and boost their return on investment. 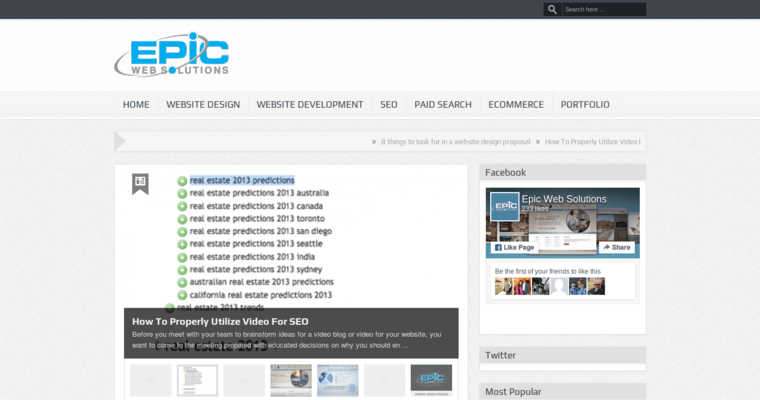 While there are a number of digital marketing agencies that offer SEO services, the professionals at Epic Web Solutions are among the most talented in the industry.